My recent work in the area of gender takes an interdisciplinary approach, using research in social science, investigating ways that cognitive bias affects judicial perceptions generally, and specifically the categories of male and female. I have published and spoken on this topic, as well as other areas of constitutional law. In my pre-academic life, I am most proud of the work that I did on behalf of nonresident workers in the Northern Mariana Islands, which included lawsuits against employers, as well as testifying before Congress concerning the abuses. After joining academia, I published articles that explored the legal and political relationship of U.S. territories. After a year clerking with the Ninth Circuit Court of Appeals, I worked as a staff attorney at the Micronesian Legal Services Corporation in the Northern Mariana Islands in the western Pacific. I began a private law firm in the islands, engaging in a general law practice for six years, emphasizing trial and appellate work. 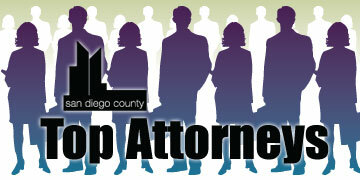 During that time, I served as counsel to several public agencies and corporations. 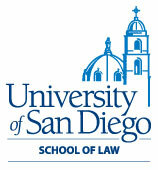 I joined the faculty of Thomas Jefferson School of Law in 1991 and served as associate dean between 1994 and 2002. I currently teach Constitutional Law, Law and Psychology, Comparative Constitutional Law, and Advanced Constitutional Law. In the past, I also have taught Contracts, Evidence, and Appellate Advocacy. I have a husband (married 28 years) and two kids (17 and 22 years old). They are, of course, wonderful, but parenting is harder than any of the above activities.